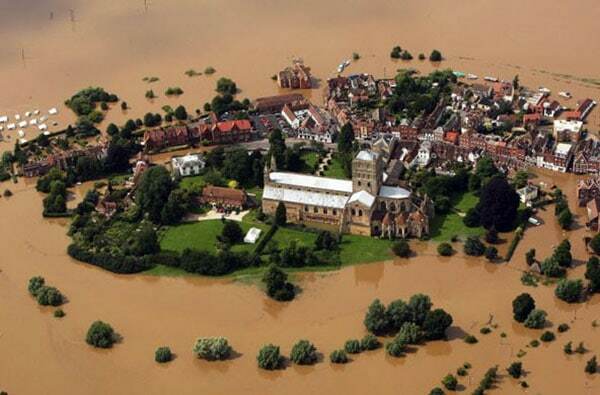 Looking at this remarkable image of recent flooding in England (courtesy BBC and Getty Images), it seems likely that those who built the church on the high ground and the surrounding buildings not only knew a little bit about the forces of nature but also had some very sensible ideas about building towns. In the same week, another sort of story about a town on high ground was reported in the Independent. Entitled ‘Kabul of the North reels from a royal insult’, the article describes how the Princess Royal was in Cumbernauld to open a new £40m shopping centre and celebrate the town’s 50th birthday. Apparently she told Councillor Bob Chadra that she was planning to get on a flight to London “as soon as possible”. The Independent makes the point that the remark may not have been intended to cause offence but the rest of the article does not stop short of presenting the town in a poor light. 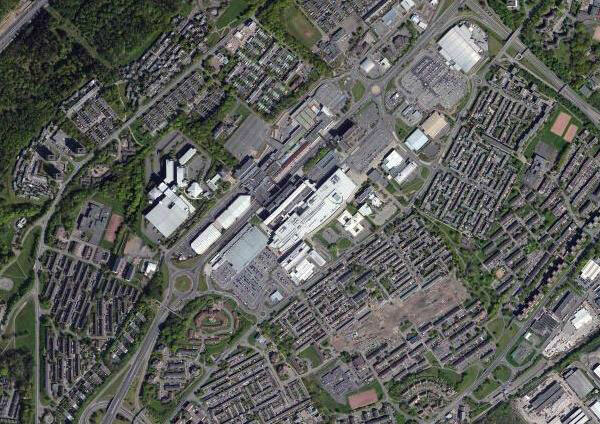 Twice winner of the trivial Carbuncle Architecture Award for the most dismal town in Scotland and featured in the The Idler Book of Crap Towns, Cumbernauld has lost any gloss that it might have had in the ‘60s and ‘70s, or from Gregory’s Girl in the early 1980s. 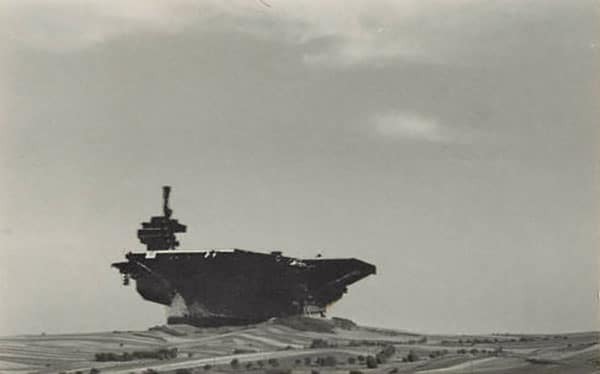 The aerial view above tells the whole story – in marked contrast to the comfortable scale and integrity of that water-logged landscape in England. The town centre today is but a small part of the original concept – a first phase of megastructure development which no one had the will to look after, demolish or extend. For subsequent developers, it was easier to build tin sheds and that is what surrounds the original centre today. Architects Hugh Wilson and Partners and the New Town Development Corporation doubtless thought they were creating something great – a simple statement of power and intention the idea of which was perhaps more elegantly illustrated a few years later by Hans Hollein (Hans Hollein – Flugzeugträger in der Landschaft, 1964, Sammlung des Museum of Modern Art, New York). But it is just architecture – it is brutal, iconic, photogenic, exciting and very 1960s – a good graphic but a bad town centre. It expresses a single simple view of how to build towns which has largely been left behind. Collaborative, involving, community orientated, integrated, coherent and adaptive it is not.